3. Being open to the possibilities of the present (or responsive to the challenges of the present) rather than having an appropriate connection to the culture or practices of the present. The first sense—truth to experience—looks to be something beyond architecture, which—to a first approximation—is mute. There are conventions in architecture: a door will usually be recognised as a door. There are resemblances and historical associations: a pyramid will usually be recognised as Egyptian. And there are—in a certain sense—narratives: a spatial arrangement may be experienced linearly, with one experience giving way to another. But the way we use buildings is distant from the way we use spoken or written language; if we want to refer to something, we generally do not build something. The third sense—openness to present possibility—is what Pevsner seems to be getting at in ‘Pioneers of the Modern Movement’, although his presentation of the idea is minimal. In Frampton’s scheme, ‘universal civilisation’ terms a technologically oriented, productive but placeless modernism, while ‘world culture’ names our collective inheritance of region-specific customs and practices. This inheritance is reported on—we all know about it, or can come to know about it—but is essentially localised. Frampton’s characterisation of ‘populism’ looks to have Venturi and Scott Brown in its sights. Three decades on, Frampton’s aim here looks off, even as his use of the term ‘populism’ is prescient. What we now see in political populism is a demand not for signs and quotations, but for the full blown restoration of tradition in the built environment; circumscribed, limited tradition; ‘proper buildings’; actual Grecian-style, stone-built structures. Post-modernism is not the current architectural populism, even if we deny to the current architectural populism the authenticity it so clearly wants, and in doing so, call it post-modern. But my main concern is that Frampton’s formula for authenticity looks undeliverable. 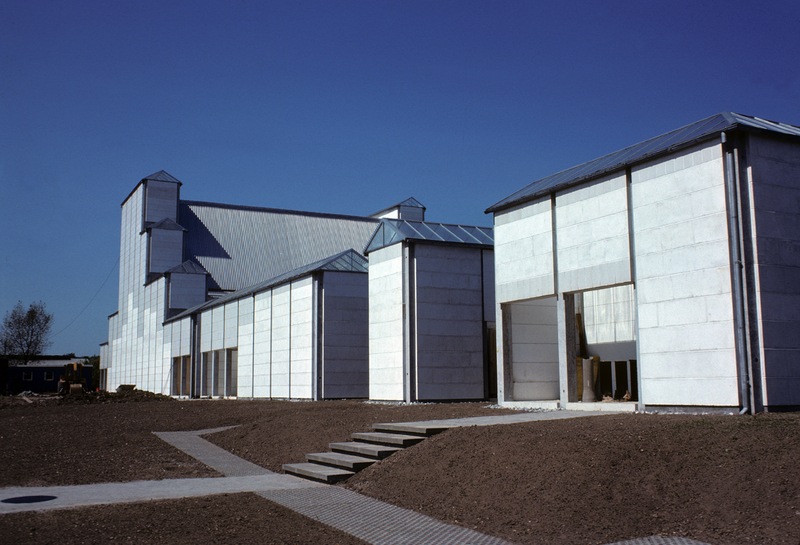 He approvingly cites Utzon’s Bagsvaerd church, near Copenhagen (1968). This is a building which combines rectilinear—although interestingly articulated—elevations with a fluid, expressive section. The elevations are said by Frampton to be representative of ‘universal civilization’; i.e. they are simple, economical and repetitive. The precedent for the section is said to be the Chinese pagoda form; the section, then, is here the bearer of ‘world culture’. However, the pagoda form is abstracted; it has something of the shape of the pagoda; it does not ‘quote’ a pagoda. This, for Frampton, is the right sort of response to ‘world culture’. In Frampton’s scheme—if I have it right—‘regional’ only means ‘regional somewhere’, and not necessarily ‘regional here’. And in the drawing from elsewhere, there is to be at the same time an (appropriate) transformation; the regional element is to become something else, even as the spirit of the original (supposedly) remains. I can see two problems with this. The first problem is that—in the Utzon example, at least—the elements are unrecognisable as what Frampton describes. When I look at photographs of the Bagsvaerd church, I see not a straightforwardly modernist exterior—something representative of ‘universal civilization’—but some sort of modern interpretation of a local vernacular. The exterior includes pitched roof forms (although glazed). It calls to mind domestic construction, faintly Germanic classical in its proportions. But that could just be me. Nor do I see a Chinese pagoda in the interior. And this, too, could just be me. But it could be you as well. There is a problem of recognisability; the formula aims to deliver a special kind of authenticity, but it is hard to see how this can work if the building user cannot perceive the cultural connection intended. For that user, there is either perhaps no authenticity at all, or else the ‘wrong sort of authenticity’; i.e. a connection is made, a connection with propriety, that could even have been intended, but which was not in fact intended. 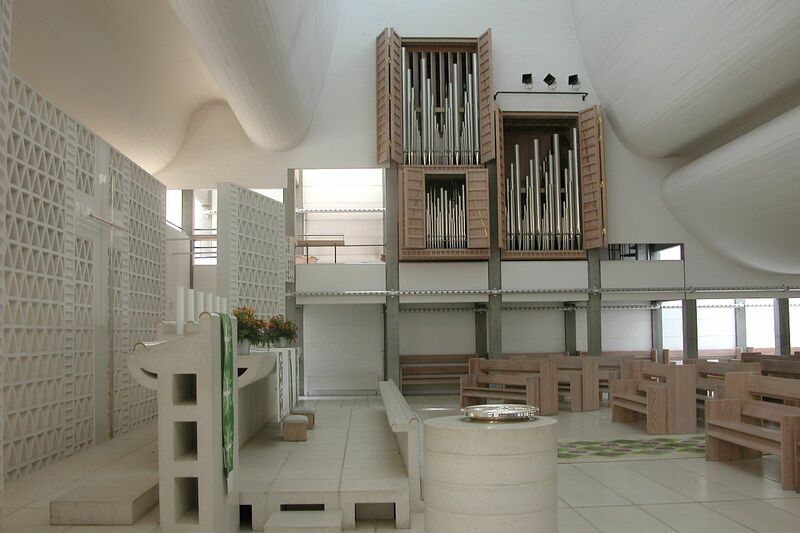 When I look at pictures of Bagsvaerd, I see something church-like, certainly; something Scandinavian, and—because I’ve seen Aalto—something Aalto-like. To me, Bagsvaerd looks like a (northern European) modern church. And it is one, too. Authentically so. I feel on safe ground with this. The second problem is that Frampton’s formula seems to rely on judgements of taste. Elements of existing culture are to be abstracted and transformed, and tastefully, not crudely; cutting and pasting is out (or the result is ‘populism’). Now architectural education follows something like a conservatoire model; there is there a cultural transmission, in which architects train their successors to apply (what is considered to be) good taste judgement. 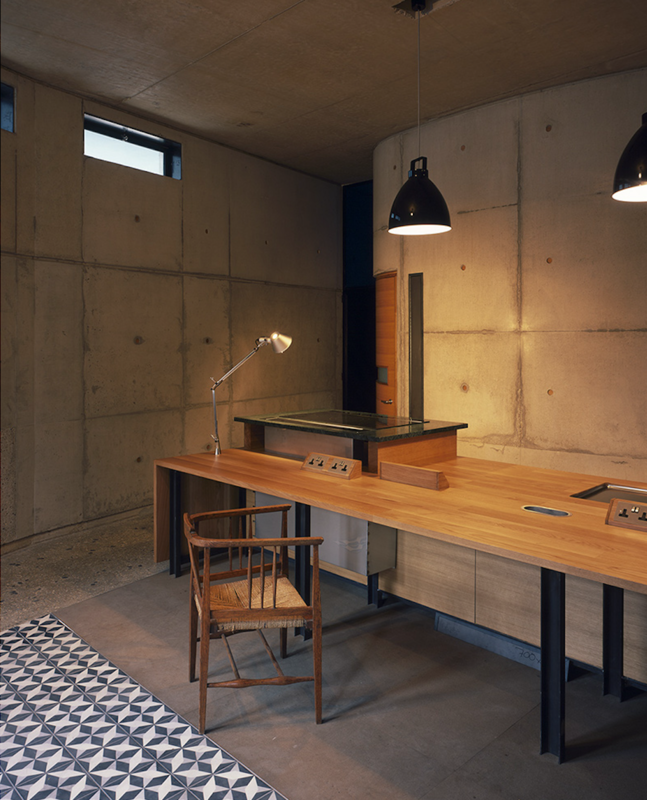 As it happens, I think Kenneth Frampton has good taste; I share his appreciation of Utzon, an admirable architect. I enjoy the subtleties of his Bagsvaerd church. In his 1995 book ‘Studies in Tectonic Culture’, Frampton makes an excellent presentation of not only Utzon but also Mies, Kahn, Wright and others; I recommend this book. And I try to have good taste too. But in an architectural theory, an exhortation to exercise good taste judgement—to do things well, with refinement—just won’t bear much weight. Something more categorical is needed, for a theory. Beyond Frampton, I have to say that I find myself losing faith in the idea of architectural authenticity, at least in its second meaning as I’ve given it. It seems to be a problem concept, one that causes effort and lost sleep, and for not much in return. There are many superficial applications; for instance, the current trend of interiors featuring walls and floors of Delftware. And authenticity is a notion seemingly surrounded by pitfalls. Authenticity is too readily co-opted into grim politics. Frampton has done his part in popularising Heidegger, and Heidegger’s advocacy of architectural tradition has now been enthusiastically—and unexpectedly—taken up by the far right; a development not anticipated in architecture schools. There’s more work to be done to secure authenticity for modernism, if it’s wanted there. This entry was posted in Traditionalism on November 27, 2018 by charlespwhitaker.